I thought maybe if I took this one directly to the residents of West Virginia instead of the outsiders maybe I could get an idea of just where to place West Virginia. According to the U.S. Census Bureau, because you are south and east of the Mason-Dixon line (MD-PA border), Ohio River, that makes you guys southern, but we all know that there are many complications to that claim. While there is the "hilly-billy/redneck" thing going on WV, the Civil War history has WV being a state torn by internal strife, and my visit to the Northern Panhandle and Clarksburg made me convinced that that part of WV was much more like PEnnsylvania and Maryland than Virginia or Kentucky...south of Charleston WV felt more southern...but this is just my experience...so tell me, good people of West Virginia, where does your state belong? the South, North, or neither? where does your state belong? the South, North, or neither? The best way that I've heard it described is "We are the Northern most Southern state and the Southern most Northern state." I guess more than any other state, we are a blend of the two. personally, i think that the whole "northern vs southern" thing is similiar to the "the "hilly-billy/redneck" thing" ........ long over and more legend than reality. we're americans, like everybody else. It's the northern most Southern state. Come on let's face it, WV fits in more with the South than it does with the Northeast, culturally and geographically. We are hundreds of miles from New England and New York. The northern panhandle however could be classified as part of the Midwest. 1.) Below the Mason-Dixon and the Potomac River, which is the blue/red state divide. Also, a good chunk of the state is in the Bible Belt. 2.) The Census Bureau's Southern region (South Atlantic). 3.) 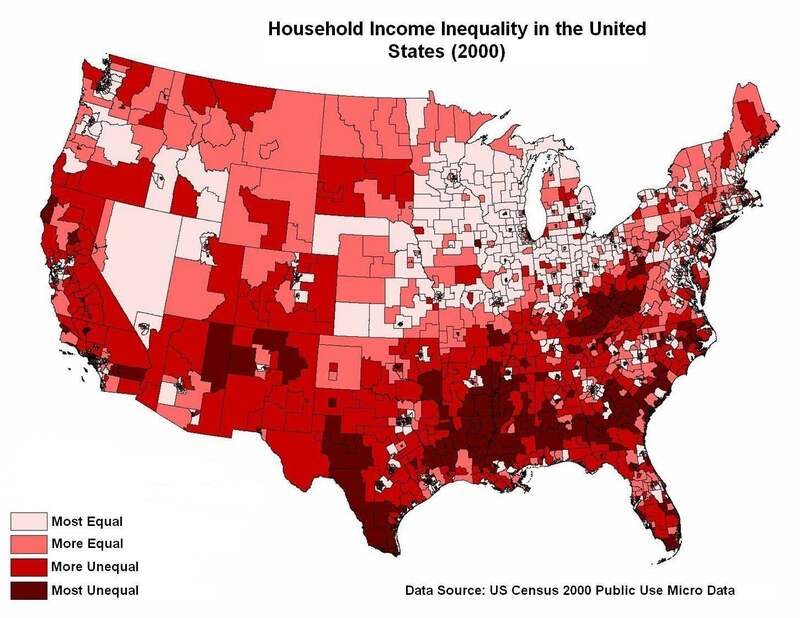 Most of the South is in poverty. WV, MS, and AR are three of the poorest states in the nation. Alabama's not far behind. Look at the first map below, showing where large portions of the South is colored in dark red. The second map is a CDC North/South poverty map, with most of WV on the Southern side. The bottom line is that the Northeast is a very wealthy area compared to the South. 4.) The Southern accent dominates most of the state. I hear people here say y'all all the time, and every now and then, I hear people say "fixin' to" as well. Most of the people are friendly and "laid back" in WV. 5.) 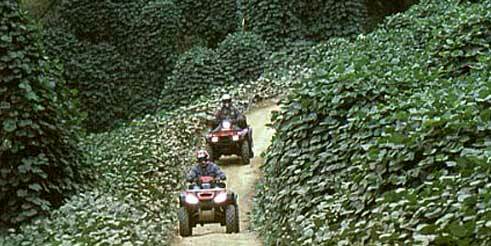 Kudzu (a.k.a "The vine that ate the South") can definitely be found in WV. 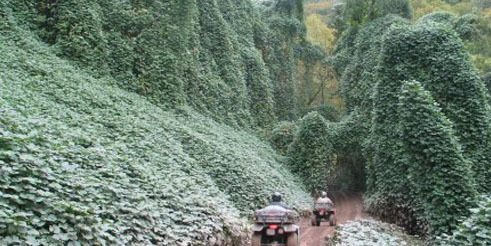 Here are some pics of the Hatfield-McCoy atv Trails in Southern WV. These are from their web site. (see below) Also, plant wise, I have seen plenty of Southern Magnolias in the area. 6.) Governor Joe Manchin is the chairman of the Southern Governors' Association. 7.) Sport wise there are some universities in Southern leagues/conferences. WVU Tech recently left the NCAA and the West Va Athletic Conference to join the Mid South Conference of the NAIA. Also, Marshall is in a Southern league named "Conference USA", which I think they should change the name to "Conference South" or something like that. MU is in the Eastern Division with East Carolina, Memphis University, Central Florida, Alabama Birmingham, and Southern Mississippi. And at one time both Marshall and WVU were in the "Southern Conference" (a.k.a. the SoCon). Last but not least the West Virginia Power minor league baseball team in Charleston plays in the South Atlantic Leage. 8.) There are some Southern businesses that are in WV. BB&T and Suntrust are two Southern banks with locations throughout the state. Belk, a Southern department store has locations in WV, and eventually Krystal restaurants (White Castle of the South) will be in the state. They are slowly coming into Virginia now. Shoney's is a restaurant with locations mostly in the Southeast. The restaurant was founded in Charleston in 1947. Southern foods including biscuits and gravy, sweet tea, and grits are popular in the state and If I'm not mistaken, these foods can be found at Shoney's. 9.) Unfortunately, most West Virginians are "brainwashed" by the Civil War. Most people believe the citizens of western Virginia wanted to leave the Confederacy and join the Union, however this wasn't true. 2/3 of what would become West Virginia voted to secede from the U.S. and join the Confederacy. Also 50% of West Virginia's troops supported the Confederacy. WV was made a state from Unionists in Wheeling, along with Lincoln, doing so without the citizens' permission. In conclusion, I can agree with everyone that posted on this thread earlier, that there can be some Northern influences in northern WV due to being close in proximity to Pittsburgh, but West Virginia is clearly a Southern state overall. And who knows, maybe the Pittsburgh area has some Southern influences carried from WV. Anybody that claims that this state is a Yankee state, means that they don't have any knowledge what so ever of WV. If you have read all of this, I thank you. I would say the northern half of the state is more like the Midwest or other mid-atlantic states (not New York so much as Pennsylvania or Maryland) and the areas of Charleston and points south are more Southern (more uppper south like Virginia or Tennessee). State boundaries are funny. The southern boundaries of Illinois and Indiana (considered northern states) are further south than the northern areas of Kentucky,and some parts of Ohio and Pennsylvania are further south than some areas of West Virginia,etc. Last edited by appalachiangirl; 04-06-2008 at 12:54 AM.. I can easily show the artificiality of this subject by the attached map. This was one of the proposed compositions of the new state of West Virginia presented in the US Senate in 1862. As you see it includes all of the Shenandoah Valley, and then some. The Wheeling legislature decided to only take 48, then 2 more, counties. But if this original plan had gone through, would we be asking today if the Shenandoah Valley was "southern"? The creation of West Virginia was totally arbitrary and without the consent of the people. You must also remember that the people of West Virginia have gone through over 100 years of disinformation in their schools, being taught a false Unionist history of the state. In "Virginia At War, 1861", essayist C. Stuart McGehee in "The Tarnished Thirty-fifth Star" relates that Richard Curry's monumental book on Statehood, "A House Divided", was attacked by the Morgantown historians not because of his accuracy, but because he was destroying the myth of the creation of the state. The fact is that West Virginia showed about double the support for the Confederacy that Kentucky did, but most people consider Kentucky a part of the South. And since the Civil War and Separation are the only reasons West Virginia is questioned on its Southern-ness, the question falls flat. I would also like to add that West Virginia is totally Southern because we originated not only Shoney's Big Boy, but Tudor's Biscuit World, the only "biskits n'gravy" chain in the US.